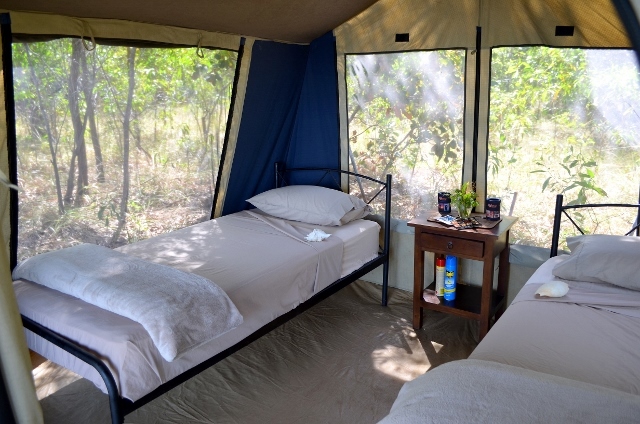 We begin our 5 day Arnhem Land small group safari departing Darwin accommodation 7–7:15am to begin your 5 day Arnhem Land small group safari . We make our way to the World Heritage-listed Kakadu National Park En route we will join a morning cruise on the picturesque Corroboree Billabong. Lunch and Dinner included. On this scenic cruise you have the opportunity to view a large variety of birdlife as well as salt water crocodiles in their natural environment. Learn more about the wildlife on the billabong from your knowledgeable guide who will make the cruise both fascinating and informative. 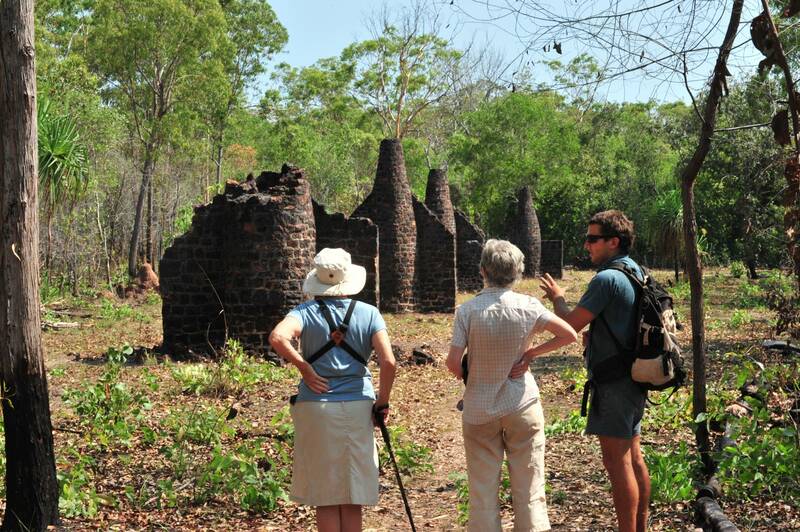 Continue to the historical Bark Hut Inn for a refreshment stop before entering Kakadu. Travel along the old Jim Jim Road visiting White Lily Billabong before arriving at Maguk (Barramundi Gorge). Enjoy a scenic 1km walk along the edge of Barramundi Creek before arriving at the base of Barramundi Falls. Here you have the opportunity to swim or snorkel in the large plunge pool below the falls and discover an array of aquatic life. Depart Maguk late afternoon for Nawurlandja Lookout. 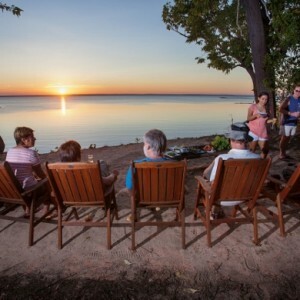 A short climb takes us up the sloping sandstone to provide views of the sun setting across Anbangbang Billabong, Nourlangie Rock and the Arnhem Land escarpment. Depart after sunset for Jabiru and Anbinik Kakadu Resort, our accommodation for tonight. After breakfast we continue our Arnhem Land small group safari from Jabiru to the northern region of Kakadu National Park to Cahill’s Crossing on the East Alligator River and enter Arnhem Land. A 15 km scenic drive to Gunbalanya Aboriginal community provides some of the best driving views in the Top End with floodplains covered in bird life and water lilies running up alongside the Arnhem Land escarpment. Upon arrival at Gunbalanya we will visit the Injalak Arts and Craft Centre. 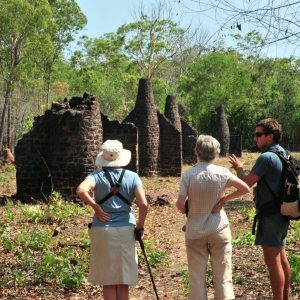 Here you have the opportunity to meet and watch traditional local artists in action before departing with our Aboriginal guide to be shown around the Injalak Hill art sites. 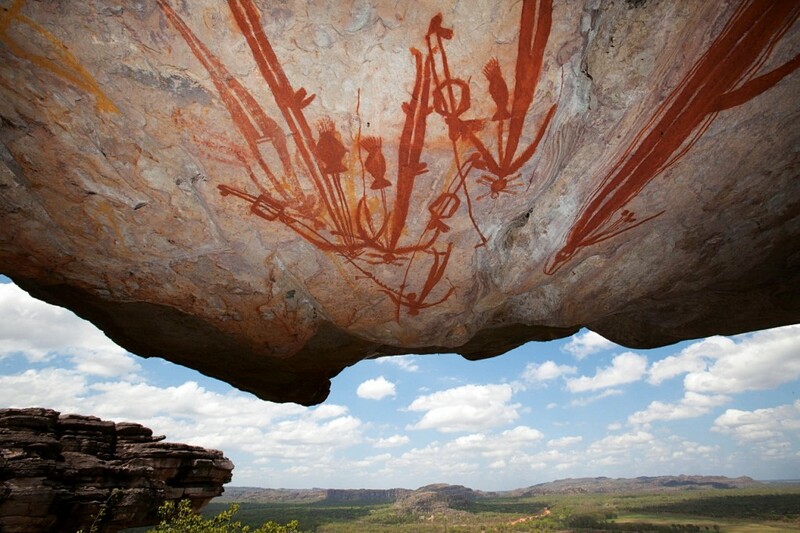 Spend the morning experiencing some of the best Aboriginal rock art in Australia before returning to the Injalak Art Centre where we leave our hosts and journey on to the Cobourg Peninsula. The drive takes approximately 3-4 hrs with stops and creek crossings along the way. 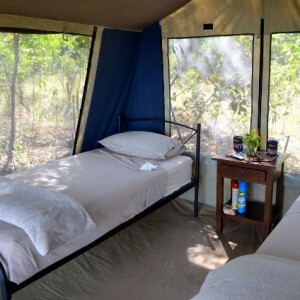 Upon arrival at camp you will be greeted by the resident camp caretakers and served nibbles on the cliff top. Relax as the sun sets over Port Essington. Overnight: Cobourg Coastal Camp. Includes Breakfast, Lunch & Dinner. This morning will be spent exploring the Northern Territory’s largest Marine Park by boat. Cobourg Peninsula is abundant in some amazing marine life including six of the seven species of marine turtle, manta rays, dolphins, sharks, crocodiles, mud crabs and plenty of fish. As we cruise the Marine Park we will stop and visit the Victoria Settlement ruins. Established prior to Darwin as a military outpost by the British, this site represents the third failed attempt at settlement in Northern Australia. After surviving for 11 years between 1838 and 1849 it was abandoned. Stone ruins still stand on the shoreline of Port Essington and serve as a reminder of the hardships faced by the early colonists. Depart the settlement and enjoy a slow journey back to camp stopping along the way to spot marine life and do some fishing. creek systems, try your luck at fishing or simply enjoy the solitude while reading a book from a hammock overlooking the ocean. Tonight enjoy a freshly caught seafood dinner. Today we explore the eastern side of the Park this time by 4WD. Cobourg is home to the first RAMSAR wetland (wetlands of international importance) in world with freshwater paperbark swamps and billabongs 100m from the coastline. Continue on via the northern beaches, commonly used as turtle nesting areas and covered in a wide range of shells. Low tide provides opportunities to explore exposed coral reefs and rock pools which are home to a variety of marine life. 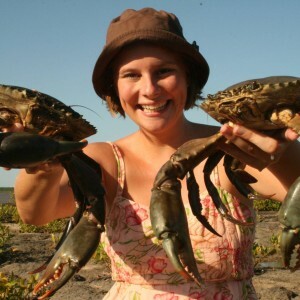 After lunch you will have an opportunity to go hunting for mud crabs using traditional Aboriginal methods. 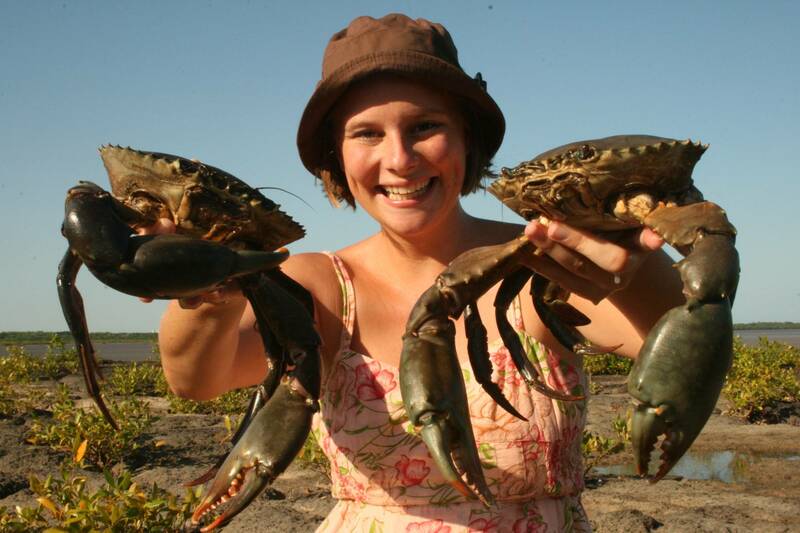 Learn how to hunt and gather these local delicacies before having a go yourself. Later in the afternoon we will also visit the Park’s Cultural and Information Centre before making our way back towards camp. This morning we depart Cobourg Peninsula early. Sit back and enjoy the bush scenery of Arnhem Land as we make our way back to Kakadu National Park. After numerous stops along the way we will enjoy lunch next to the banks of the mighty East Alligator River. 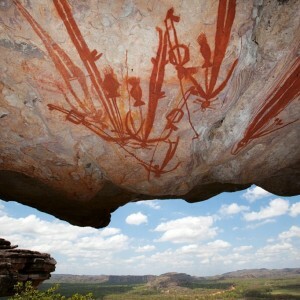 After lunch visit Ubirr Rock where we spend time viewing some of Kakadu’s best Aboriginal rock art. A short walk to the top of Ubirr offers spectacular views of the surrounding wetlands and stone country. Depart Ubirr to Darwin via the Arnhem highway. En route to Darwin we will stop and visit the Mamukala wetlands, which at times is a haven for thousands of Magpie Geese as well as many other species of native birds and reptiles. Includes Breakfast & Lunch. 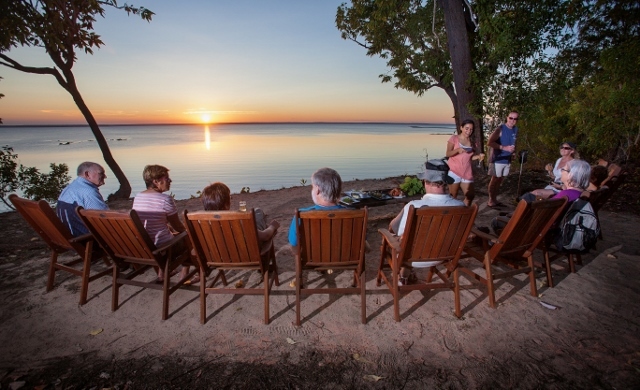 5 Day Arnhem Land small group safari concludes arriving in Darwin approximately 7:00pm.